"And there shall come forth a rod out of the stem of Jesse, and a Branch shall grow out of his roots: And the spirit of the Lord shall rest upon him, the spirit of wisdom and understanding, the spirit of counsel and might, the spirit of knowledge and of the fear of the Lord. ...righteousness shall be the girdle of his loins, and faithfulness the girdle of his reins. In the prophecies of Isaiah, Jeremiah, Ezekiel and Zechariah are several references to a man called the Branch. 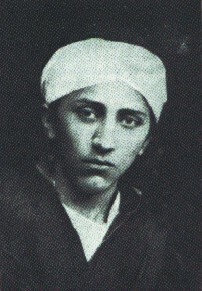 These have often been taken by Christians as applying to Christ, but are regarded by Baha'is as referring especially to Abdu'l-baha. "One of the great events which is to occur in the day of the manifestation of that incomparable Branch, is the hoisting of the Standard of God among all nations; meaning that all the nations and tribes will come under the shadow of this Divine Banner, which is no other than the Lordly Branch itself, and will become a single nation. The antagonism of faiths and religions, the hostility of races and peoples, and the national differences, will be eradicated from amongst them. All will become one religion, one faith, one race, and one single people, and will dwell in one native land, which is the terrestrial globe. Universal peace and concord will be realized between all the nations, and that incomparable Branch will gather together all Israel: signifying that in this cycle Israel will be gathered in the Holy Land, and that the Jewish people who are scattered to the East and West, South and North, will be assembled together. Now see: these events did not take place in the Christian cycle, for the nations did not come under the One Standard which is the Divine Branch. But in this cycle of the Lord of Hosts all the nations and people will enter under the shadow of this Flag. In the same way, Israel, scattered all over the world, was not reassembled in the Holy Land in the Christian cycle; but in the beginning of the cycle of Baha'u'llah this divine promise, as is clearly stated in all the Books of the Prophets, has begun to be manifest. You can see that form all the parts of the world tribes of Jews are coming to the Holy Land; they live in villages and lands which they make their own, and day by day they are increasing to such an extent, that all Palestine will become their home." 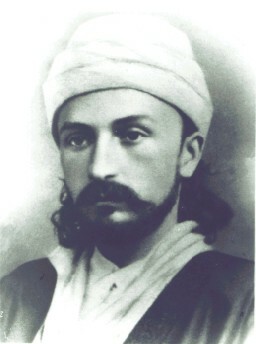 Mihdi, Mirza The son of Baha'u'llah, surnamed by Him 'the Purest Branch', born in 1848. He accompanied His Father into exile and served Him as an amanuensis. In 1870, in the Most Great Prison in 'Akka, Mirza Mihdi was pacing the roof, wrapped in devotions, when he fell through a skylight. Mortally wounded, his dying wish to his Father was that his life might be a ransom for those who were prevented from attaining Baha'u'llah presence. Baha'i, Holy land, Abas Affandi, Haiffa, greatest, pilgrim, Carmel, God promise, Promised one, Messiah return. peace.